I mentioned to my hairdresser that my scalp was very itchy, but did not see any dandruff to speak of. She told me to get Nioxin conditioner. Never has my hair or scalp felt so good. I just ordered the shampoo and absolutely love it! My daughter was visiting and asked if she could try it and she is raving about Nioxin. She is also going to order it. 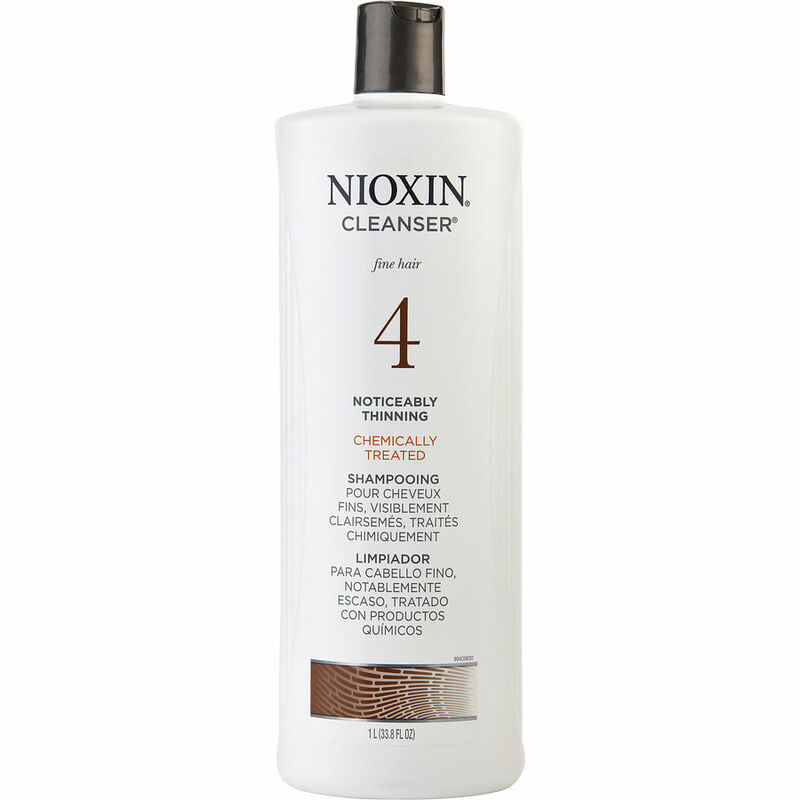 Nioxin cleanser #4 is now my #1 shampoo. I love the fact that most shampoo's I've tried fade my colored hair in 2-3 washings. I found my color not fading as fast using this product. I also found that my fine hair has more body now than when I used other products. Nioxin shampoo Ladies, Thank you ,you just convinced me that this is the product I've needed and I am ordering it ,at this moment!✌ I'm so glad I seen it here first, Thanks Everyone. I was pleased with my first use. My hair feels fuller and looks fuller. Nioxin is an excellent product, I have used it for many years. It cleans your scalp like no other shampoo. I have chemically treated, thinning hair, and Nioxin is my cleanser of choice, to remove dead skin cells so that my scalp can breathe and rejuvenate hair stems. I highly recommend it, and this site to purchase it, as it is expensive and this site provides good discounts. i just bought a new 33 oz bottle for $25.15, including shipping. It is twice that in shops.